Early Japanese Railways 1853-1914 is a cultural and engineering history of railway building in Japan during the Meiji era. The importance of early railways in the industrialization of the United States and Europe is a fact all of us are familiar with. To witness the amazing parallel development of the railways in Japan, happening at much the same time as America was connecting its vast hinterland to the East and West coasts, is an eye-opening realization. 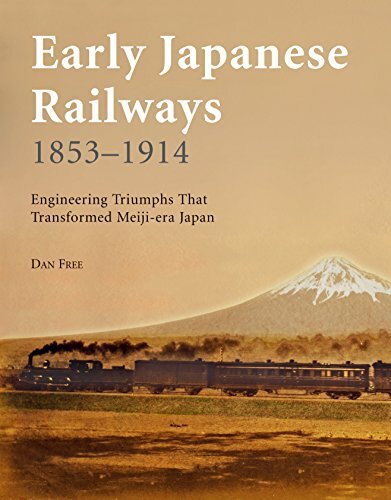 Early Japanese Railways, tells the fascinating story of the rise of Japanese rail amidst a period of rapid modernization during Japan's Meiji era. Leaving behind centuries of stagnation and isolation, Japan would emerge into the 20th century as a leading modern industrialized state. The development of the railways was a significant factor in the cultural and technological development of Japan during this pivotal period. Free's rare photographic and historical materials concerning Japan's early railways, including a print showing the miniature steam engine brought to Japan by Admiral Perry aboard his "Black Ships" to demonstrate American superiority, combine to form a richly detailed account that will appeal to students of Japanese history and railway buffs alike. 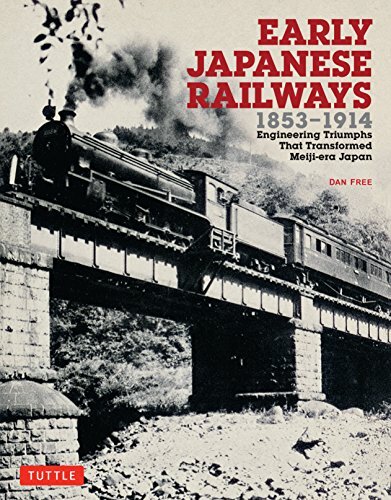 This one-of-a-kind book, Early Japanese Railways 1853–1914, illuminates for non-Japanese-speaking readers the early history of Japanese railroads and in the process the fascinating story of Japan's prewar industrial modernization. Anyone interested in train history or model trains will find this book a fascinating read. Dan Free has studied East Asia for many decades—particularly its adaptation of railway technology. He has spent over 25 years assembling the rare collection of materials published for the first time in these pages.